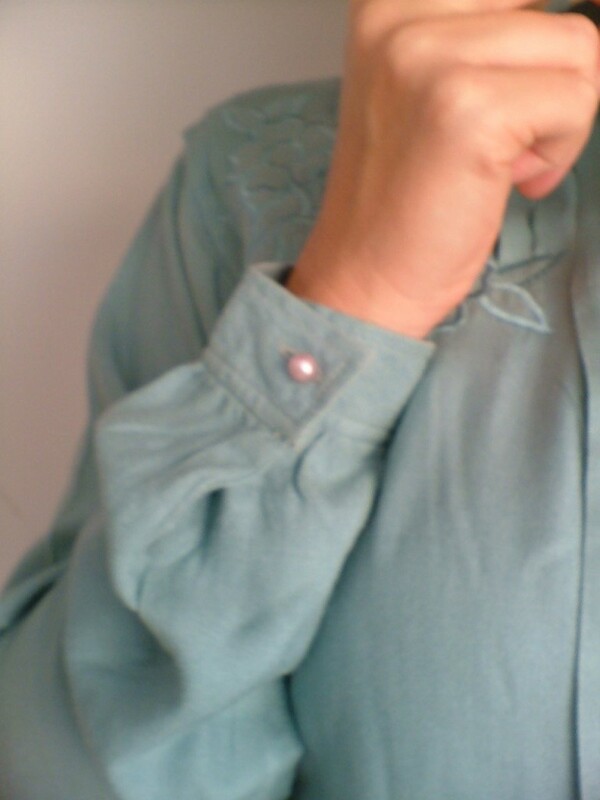 Duck-egg blue vintage 1950s silk blouse. 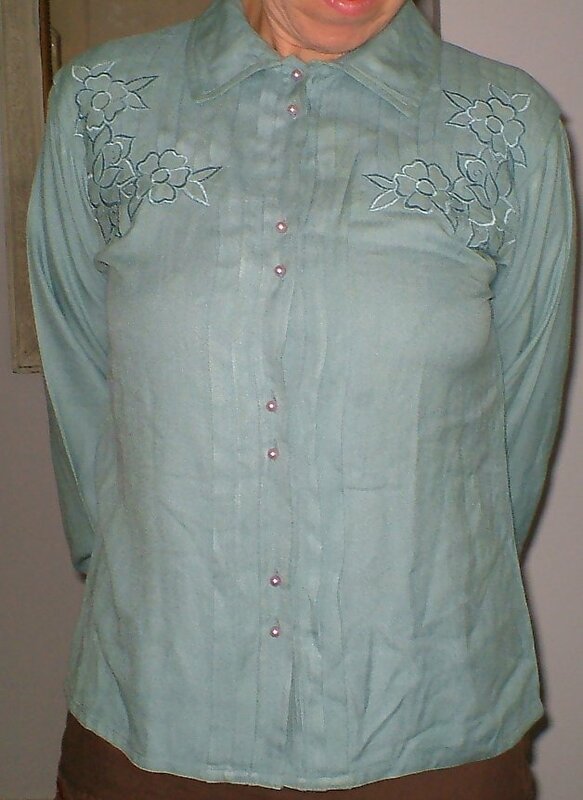 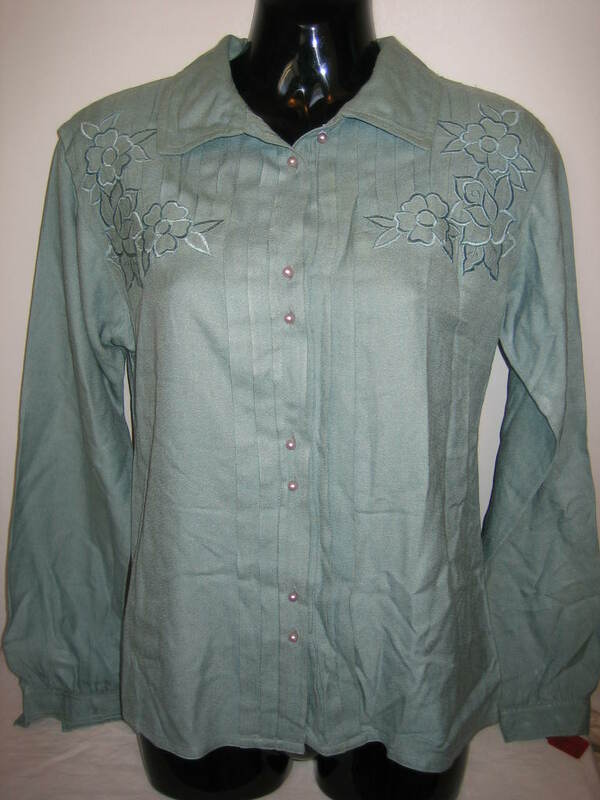 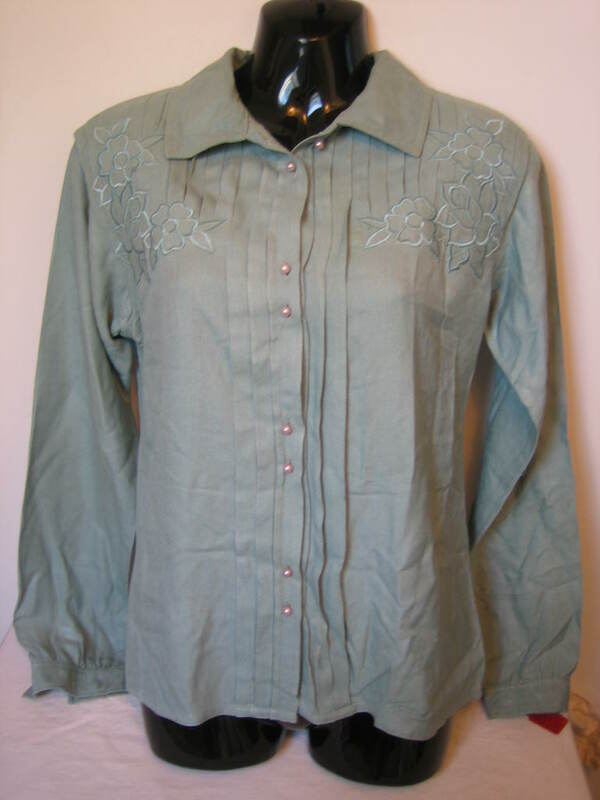 Here is a really lovely quality blouse with embroidery and pearl buttons. 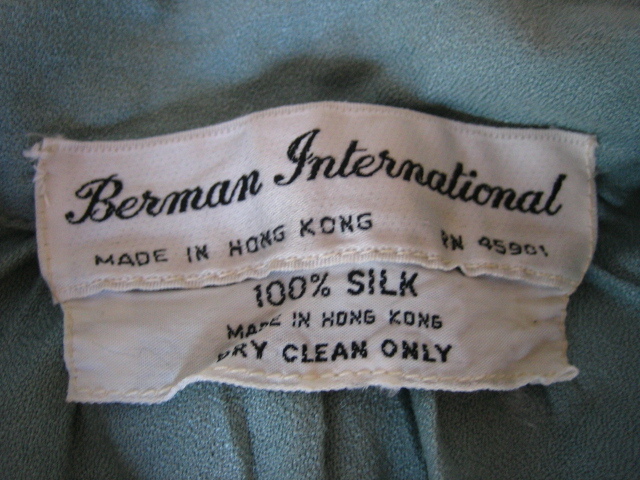 The label reads 'Berman International Made in Hong Kong 100% silk'. 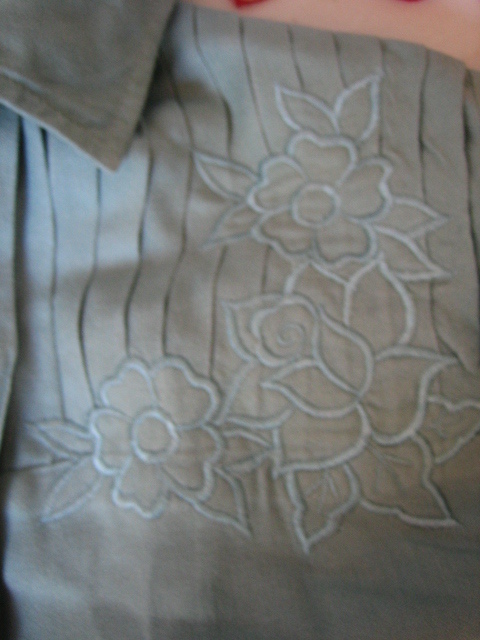 It's a lovely shade of dull duck-egg blue, with flowers embroidered on the shoulders. 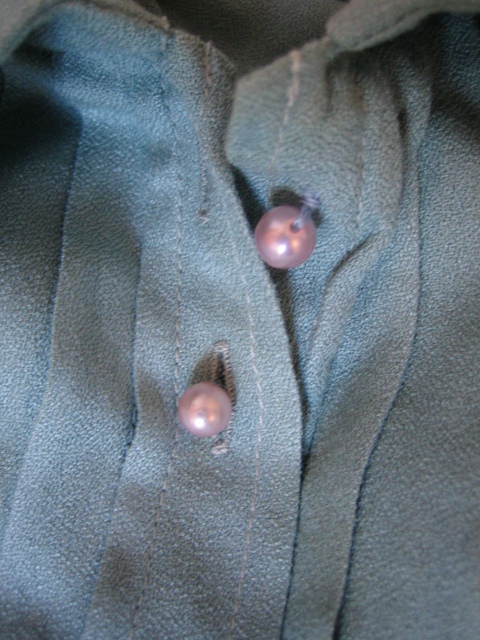 It fastens with eight pearl buttons, grouped in twos. 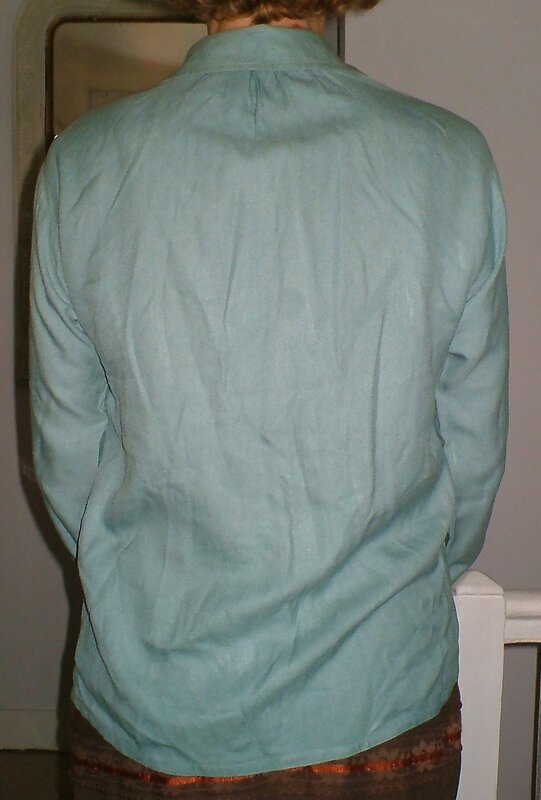 There are nine pleats on each shoulder, the centre two on each side extending down the front band. 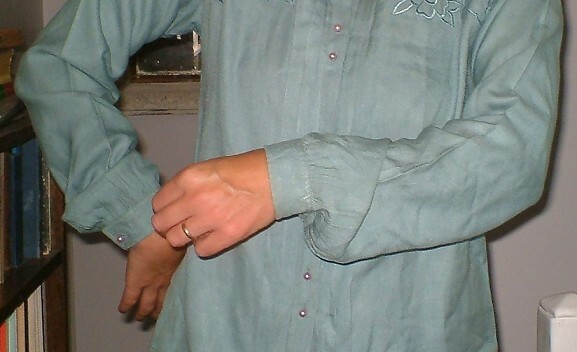 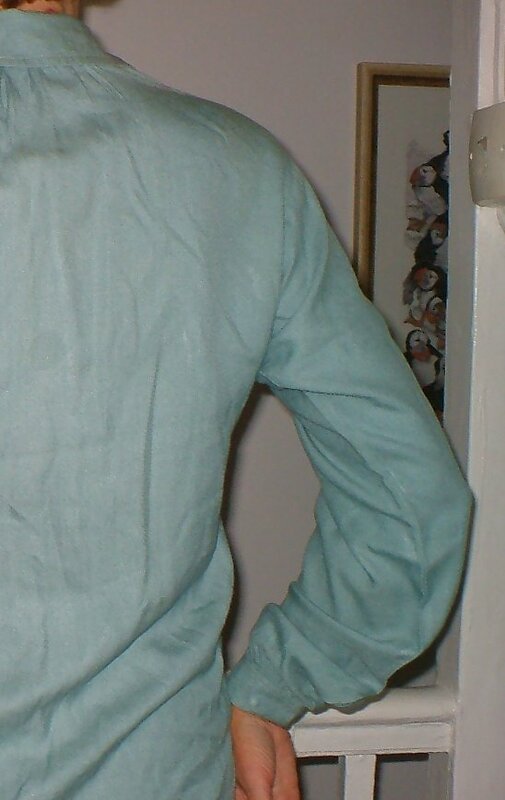 The sleeves are slightly full, and there are short gathers at the back of the neck. 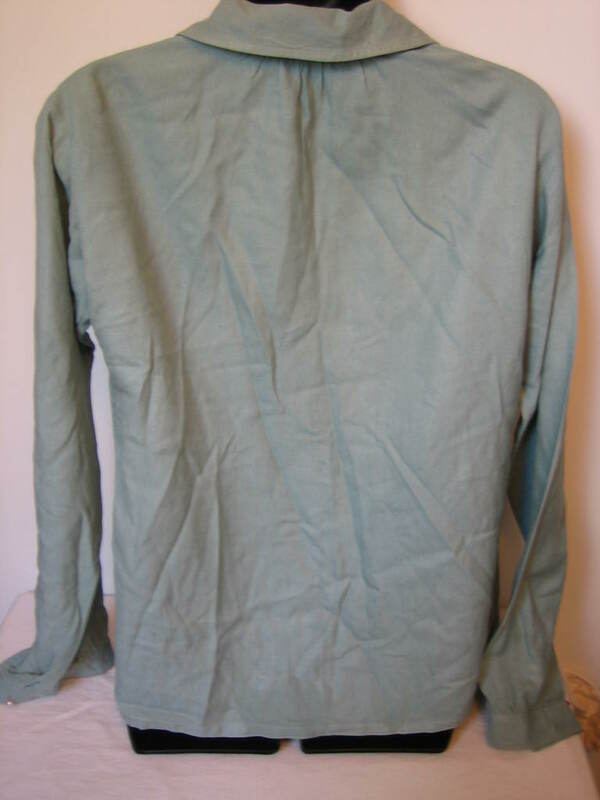 In modern terms, this is about a size 14. 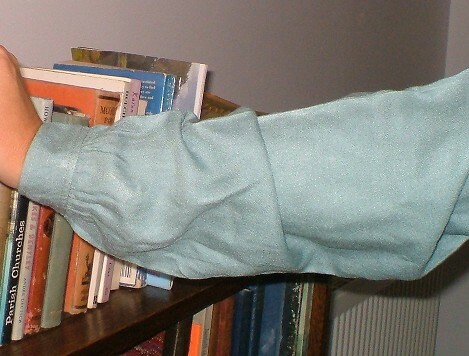 Approximate measurements are bust 40 inches (101.5 cms); length from neck 25 inches (83.5 cms).